Last week we had an opportunity to spend some time with the HERE mapping champions and think-tank in London and Berlin understanding HERE’s platform, go-to-market and marketing strategy. Nokia’s mapping unit HERE is transforming into much more than a mapping platform. HERE until now had been in shadows of Nokia Devices & Services division which was acquired this spring by Microsoft. Automotive OEMs and the internal Nokia D&S unit were some of the HERE’s biggest clients. But with the spin-off of D&S, HERE as a company has become more independent and agile to go after newer companies needing a location platform to power their offerings. The barriers to entry are pretty high to get into mapping business and building maps needs years of experience, iterative work using an expert team of cartographers, geo-scientists and engineers to produce a mapping platform which is not only high quality, fresh but richer and scalable. Hence, there are a very few companies who have decent mapping assets with just couple of companies truly leading this space, namely HERE and Google. Apple with the help of struggling TomTom is trying to build its own-branded mapping solution but again Apple is not in the business of licensing and the mapping effort remains a pure vertical play not directly competing with HERE or Google. Location cuts across through everything i.e. devices, platforms, software and apps, and is one of the most important ingredient of understanding context in sync with social data, mobile data, user data, sensor data. 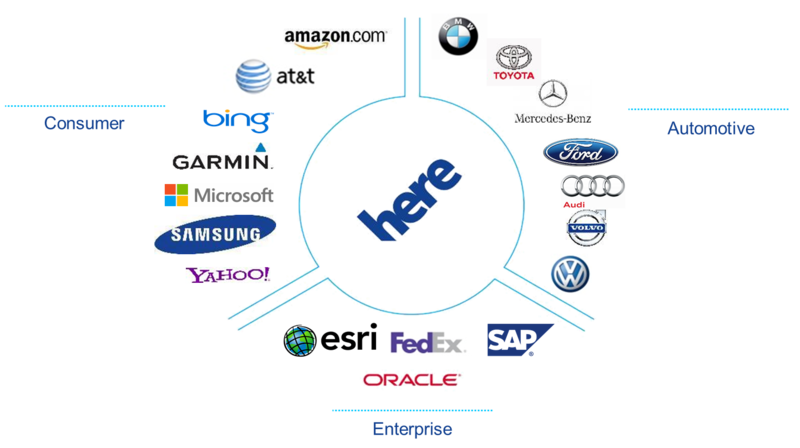 The HERE platform is evolving into a broader and intelligent location platform to expand HERE opportunities across different verticals beyond automotive and devices OEMs into consumer and enterprise. The recent acquisition of Desti and Medio, adds additional capabilities such as search/discovery and smart analytics on top of the HERE’s robust core mapping and navigation platform to offer a more robust end-to-end location platform to grow and excel into these newer markets. This includes top companies touching billions of consumers everyday with their products, platforms, software and services which can leverage maps, navigation support and location intelligence to deliver more relevant and personalized everyday life experiences. 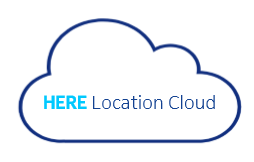 The key advantage of HERE is that it’s a pure platform agnostic location cloud which can power location-centric platforms and solutions helping it to reach out to billions of consumers through its B2B2C offering. HERE over the decades has invested in building premium content by collecting highly detailed attributes and content layers. For instance, truck attributes for truck routing, restrictions, speed limits, which route is allowed to transport e.g. explosives, etc. We believe telecom service providers while at sometimes difficult to work with are actually important prospects for HERE platform as operators’ look to dominate the M2M space to power, connect and manage billions of potential devices spread across geographies in addition to millions of existing smart devices subscribers. HERE is positioned right on the inflection point to be catapult to the next level of growth with its industry leading smart location platform. 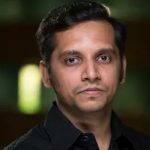 We believe HERE has a highly aligned strategy, offering and a unique position from business model perspective to go for the kill and tap into tremendous opportunities out there. We believe momentum is with HERE as competition is fading away and the next biggest competitors having completely different business models proving advantageous for HERE. However, prioritizing key prospects and partnerships will be key moving forward to leverage scale, be operationally leaner and improve the bottom line along with the top line. Time to get moving into top gear, tremendous growth beckons.